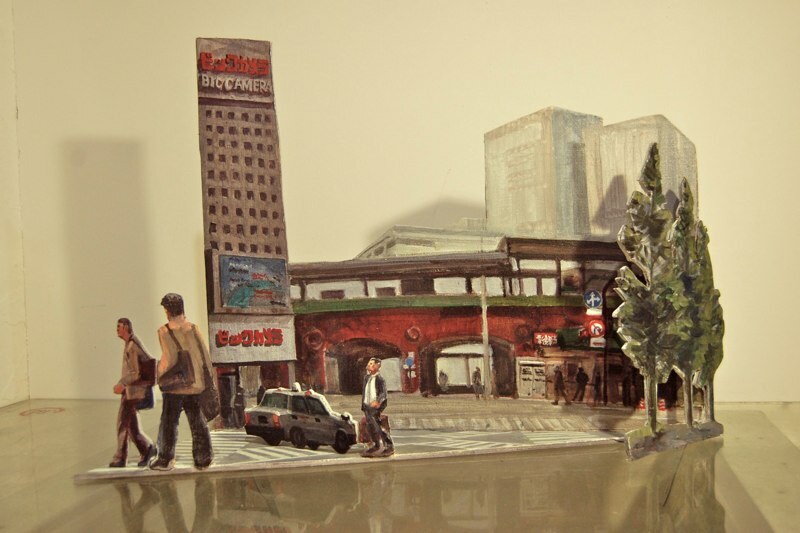 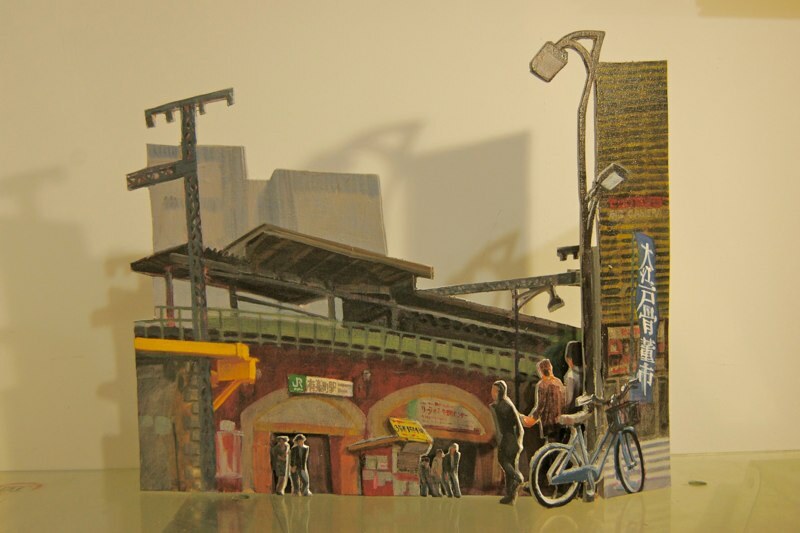 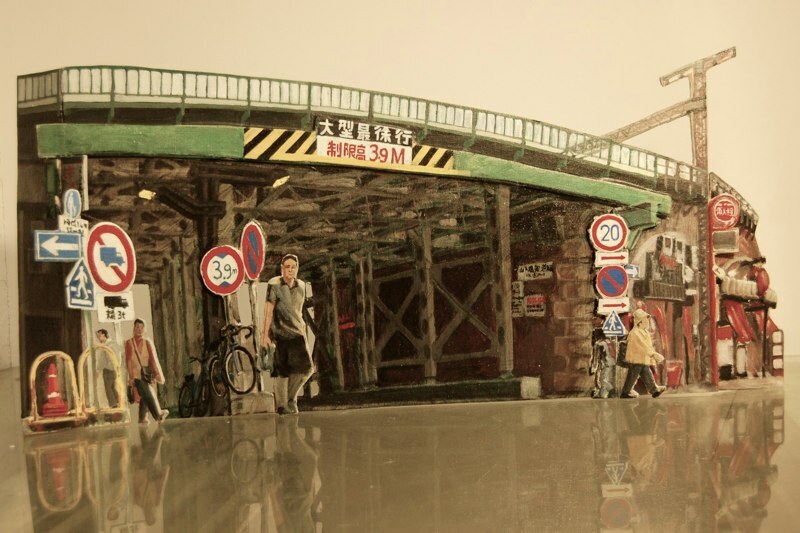 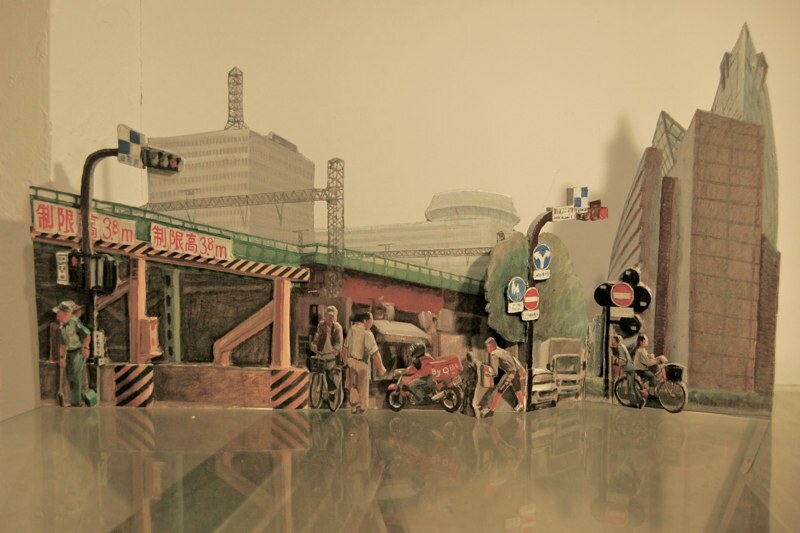 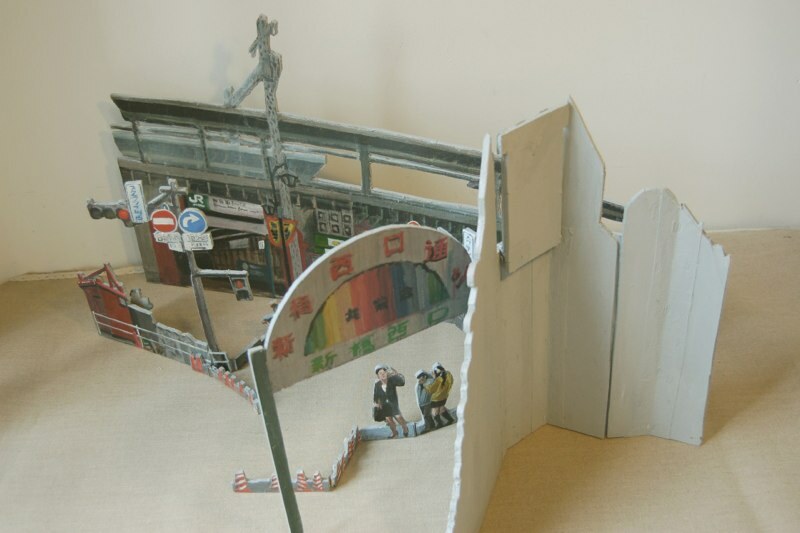 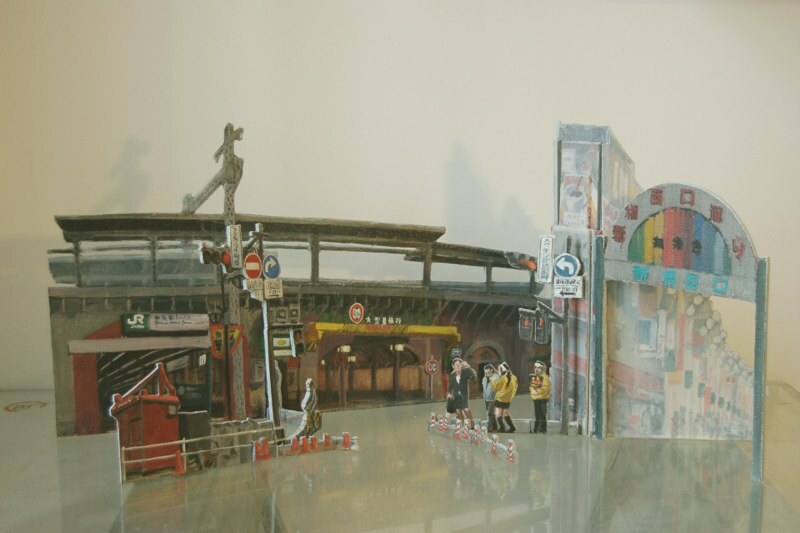 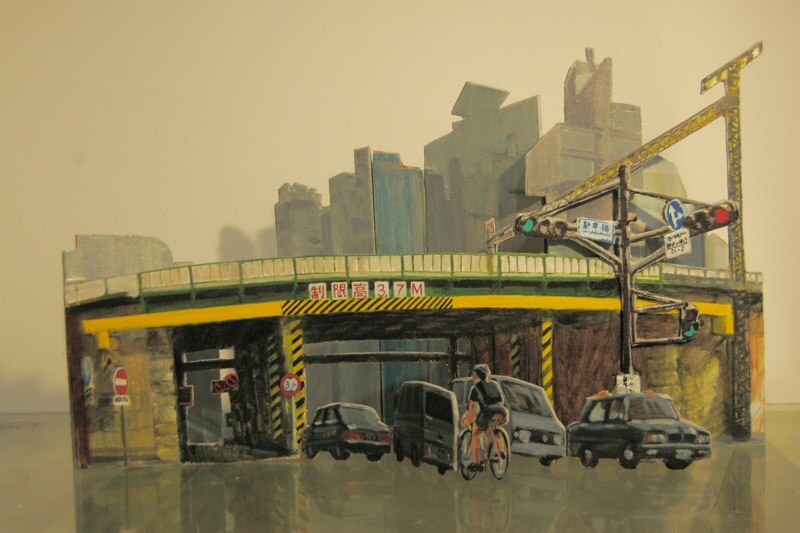 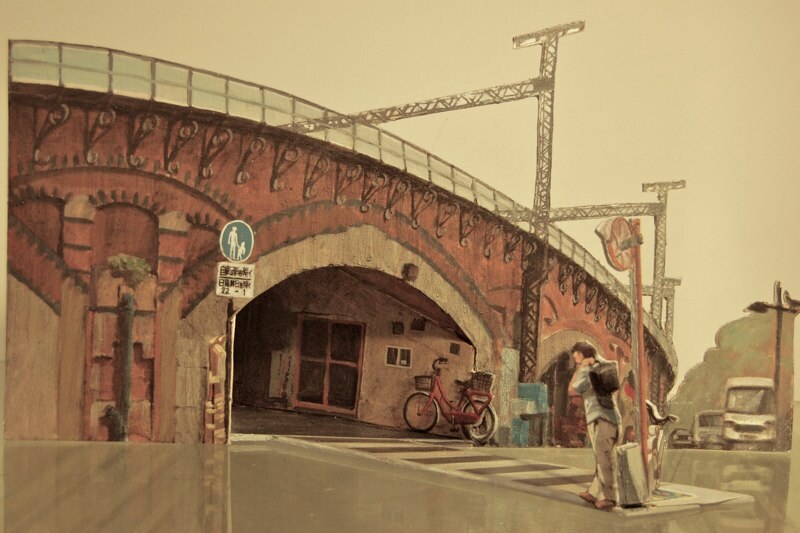 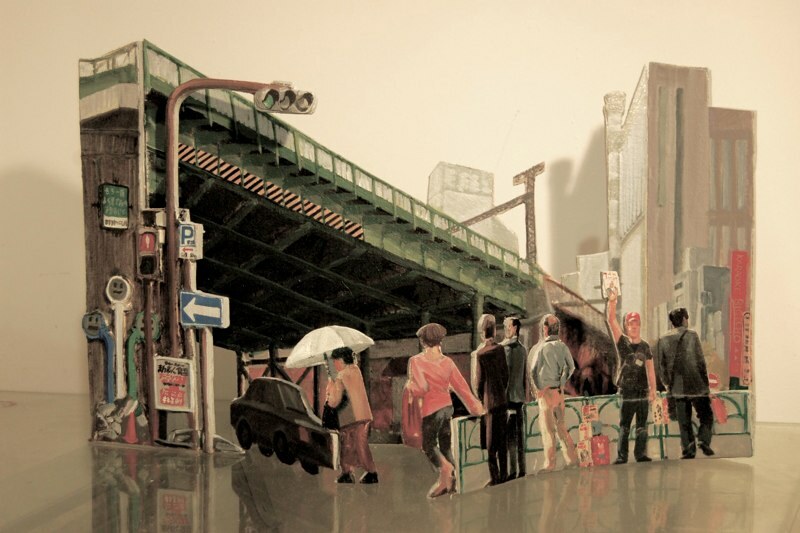 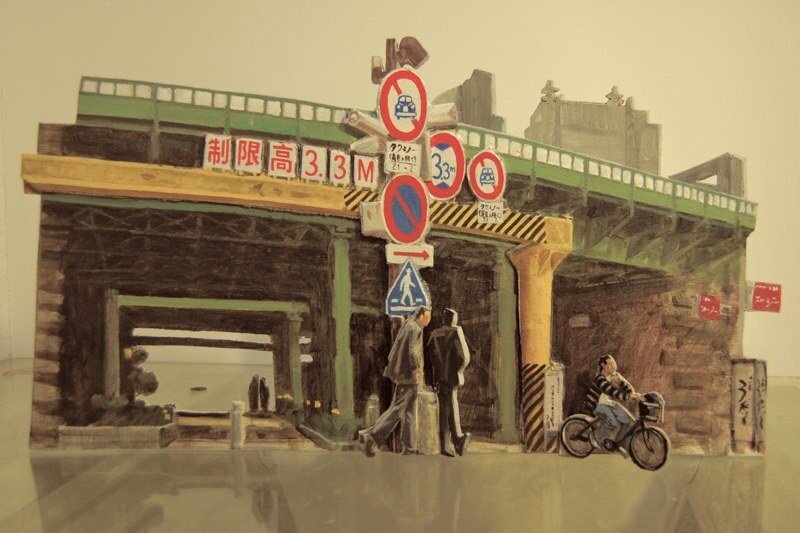 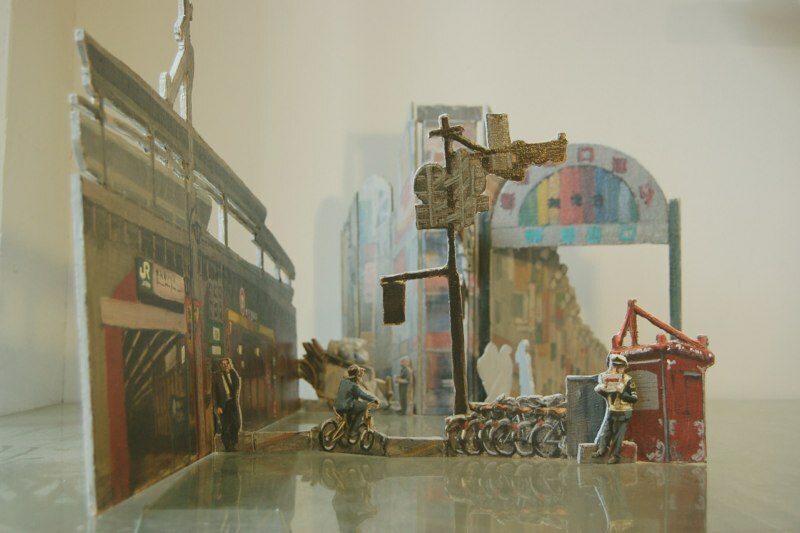 After 17 views in watercolor and 17 views in oil, I develop each view of the JR Line, Tokyo, in three dimensions. 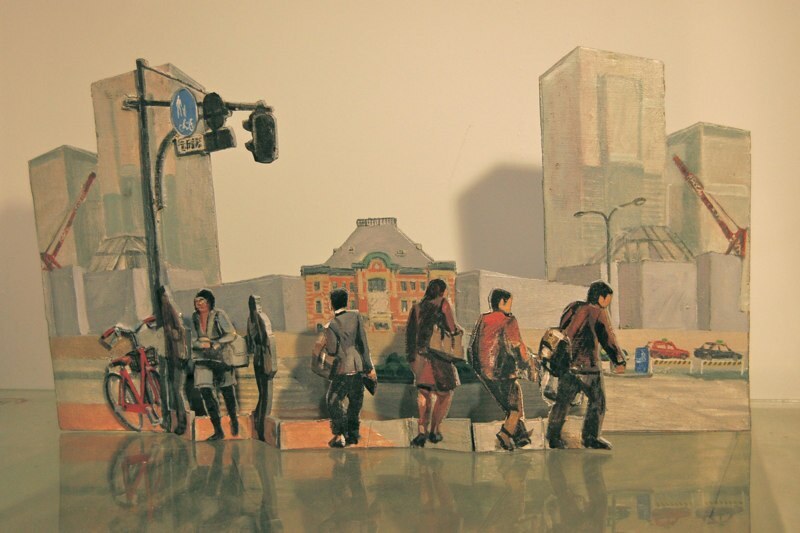 Foregrounds and backgrounds are separated, painted on canvas, cut along their silhouette and stretched on wood. 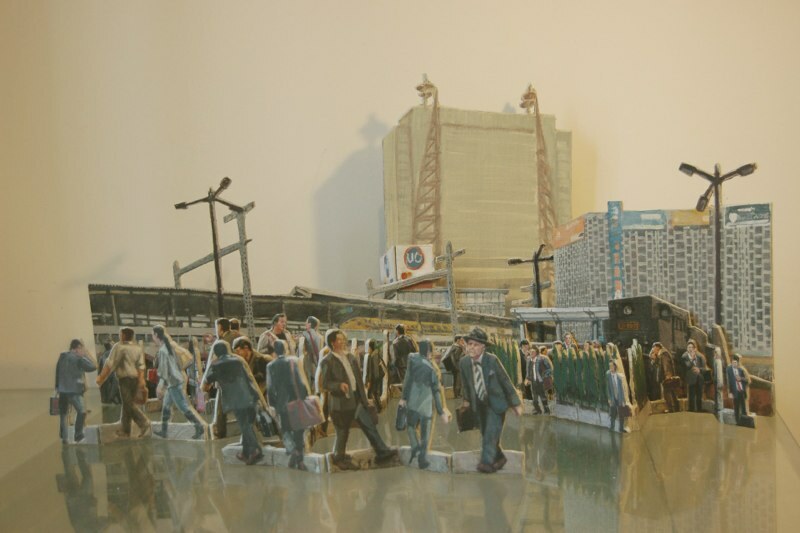 A few figures or details are isolated and highlighted with their own cut outs. 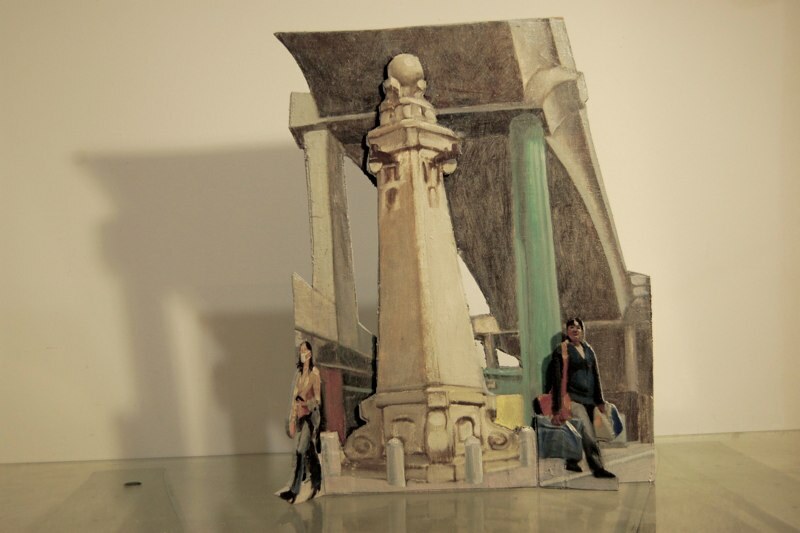 The views placed side by side recall the old 19th century Dioramas. 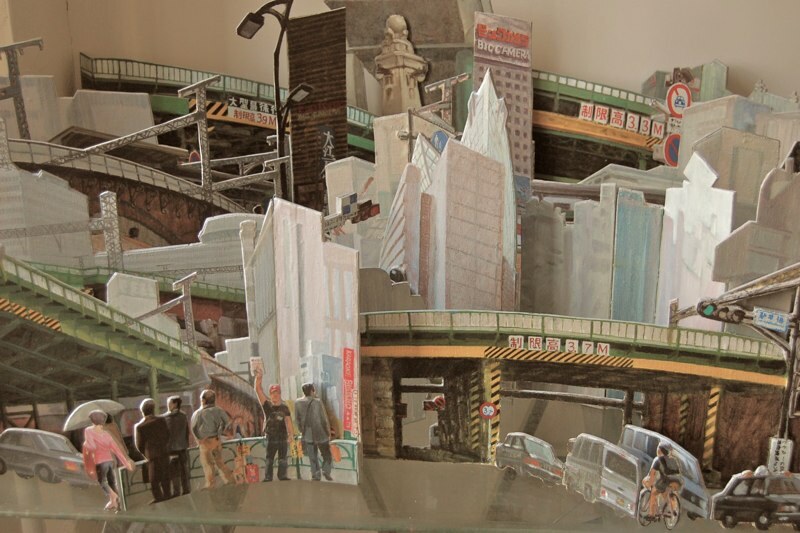 I call them in French “Planches Dessinées”.